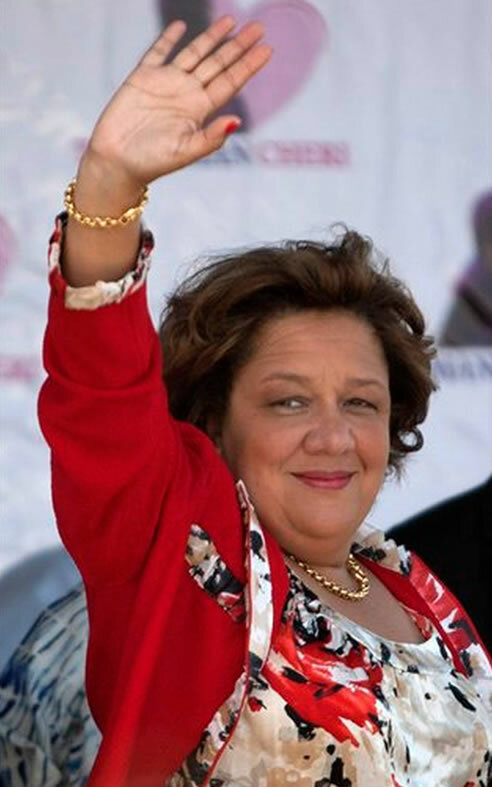 The First Lady Sophia Saint Remy Martelly was born in New York, USA. On the last day of submitting nominations for contesting to be elected to the Senate, she has registered her candidacy for the seat on behalf of her husband's center-right liberal "Tèt Kale Party (PHTK)". Her friends often term her as "the power behind the throne" while her enemies describe her as "iron lady." However, Article 96 (1) of the Haitian constitution may put a stop to all her moves on the presidency issues. The related provision reads like that......" To be elected to the Senate, a person must be a native born Haitian and never have renounced his nationality". She renounced her Haitian citizenship in 1989, because then she used to spend more time in U.S and before 2011, dual citizenship was not permitted in the Haitian constitution. She has registered her nomination, perhaps purposely, on the final day so that it just leaves 3 days before the Department Electoral Offices (BEDs) to receive and review any complaints or objections on the candidacies and publish the names of the approved candidates on May 1. It is a big issue before the BED to decide its credibility.